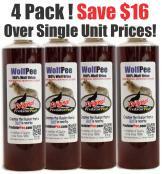 Learn how to repel domestic and feral cats today with 100% Pure Wolf Urine liquid and granules from PredatorPee. Unwanted cats can make a mess of your yard and garden. Keep feral felines out with Wolf Urine for cats. 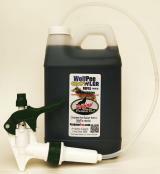 Create a "pee-rimeter" with WolfPee liquid, Use WolfPee YardCover Granules to keep cats from using your garden as a litter box and use WolfPeeShots to stop cats from moving into your shed or garage. The scent of wolves acts as a natural feral cat repellent for yards. 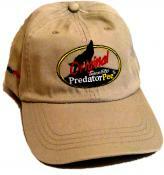 Find your ideal natural cat deterrent below. Just as an update, haven't seen a cat or a squirrel in yard yet, even after a light rain. WolfPee is a great product, I will be recommending it.